The east side winner is the home of Sally and Don Soderberg. A neighborhood favorite, it has been a nominee for 3 straight years. 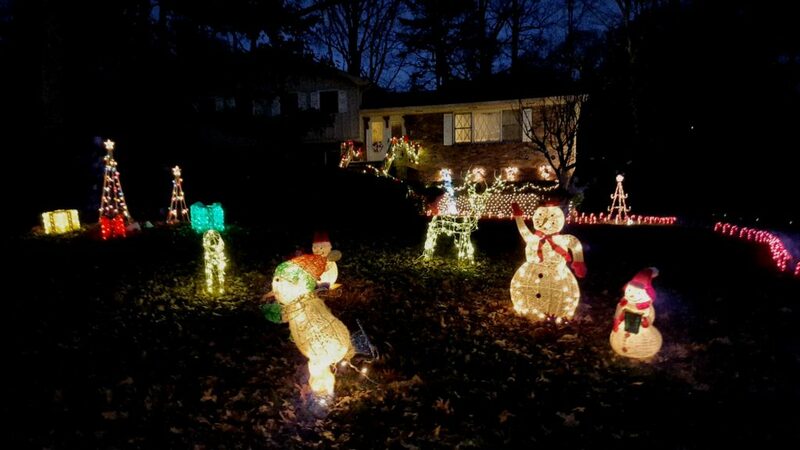 Sally and her daughter carefully arranged the lighted figures while Don handled the wiring. Santa delivers a “Merry Christmas” surrounded by reindeer, snowmen, angels and dozens of candy canes. Sally and Don recently enjoyed a holiday visit from the Kingsley Methodist Church children’s choir who came to view the lights and entertain the Soderbergs with Christmas carols. Cherie and Chip Andrews are our winners from the west side. The Andrews have lived in Dunwoody North for 25 years. They loved the neighborhood so much that they chose to purchase the home that Chip grew up in. The Andrews chose a traditional, classic style of decorations to accent their home. It is illuminated by tiny white lights that enhance huge wreathes, handcrafted by Cherie using glossy colorful ornaments. 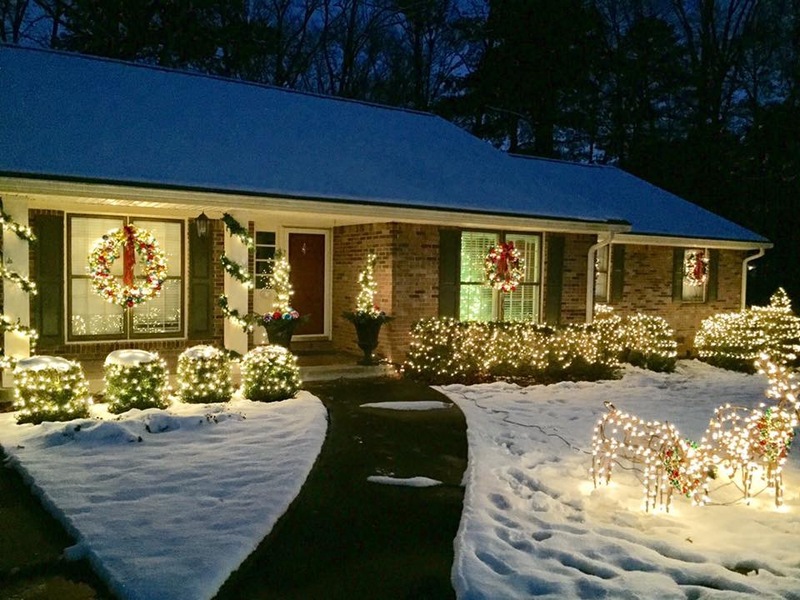 Cherie’s creative flair extends to photography as she captured the beautiful glow of their decorations in the recent snow that blanketed Dunwoody North.